This Do-It-Yourself project has been created by the Kunenteco Maya to restore the rapidly eroding cultural and environmental practices in the Cunen region of Quiché, Guatemala. EKO-HABITAT has been invited to facilitate the community evaluation and provide them with sustainability workshops and skill training. We will be working in tandem with the local Mayan Spiritual Authorities and elders to integrate the regional customs into the practical and educational aspects of this community-based effort. 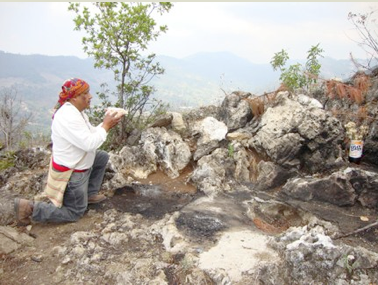 Vital environmental restoration carried out with the treasured spirit of ancestral Mayan spiritual practices which are unique only to this region. An example how this alliance works: The community will impart environmental protection and recycling classes to the children in their own Maya Kunen language utilizing their own artistic symbols. Tata Juan Camaja Pinula is the director of this project in Cunen. He will manage the complete project in the region, focusing specially on the cultural restoration by incorporating the beliefs and cosmovision of the Maya daily lifestyle into precise practices that promote sustainability and environmental preservation. A very important issue is organic food management and heirloom corn. “The Maya have always had a very close relationship with Earth and this is being lost in present times, this loss of a connection to their land fosters poverty for my people”. Eko-Habitat will be working in collaboration with its partners ORGANI-K ISSA and its network of adult and youth trainers. This sustainable-systems network from Mexico has been applying the principles of Permaculture, Ecovillages, Bioregionalism and Eco-Barrios throughout the Americas. The four week project will include; a rural traveling expo that is human scale and replicable, information showcases (videos,books, art and didatic exhibits), theatre and puppetry. We will have community input through councils with consensus and facilitation, practical workshops and applications for selected projects designed to improve the quality of life of the Maya inhabitants of Cunen. The Mayan elders hope to create a replicable model that promotes cultural enrichment while reducing the levels of poverty and protecting the rapidly deteriorating environment. The teachings, practices and projects to be developed will have as a starting point, the millenary spiritual practices that prevail in the daily lives of the Maya Kiché who ebb and flow according to the rythm of their calendars. Once embarked on this 2 month journey we will follow the wisdom dictated by each day according to the natural relationship the Mayan’s have with their land. We propose renovation of the areas that since the time of our ancestors have been designated as the sacred places to carry out the Mayan ceremonies. These Altars have been maintained only with the sporadic care of those spiritual guides who use them. Because of the historic value these places represent to our people, they deserve a better infrastructure that will inspire the local Maya to continue our cultural spiritual practices. As an example, the Churanch altar is on the side of a mountain and requires a stone retention wall that will widen the area and there will be reforesting of the immediate area with native trees. The community will participate in removing litter and practicing reforesting as an ongoing activity for all ages. In the restoration process the youth will support the elders with their techniques of terracing, cob, nearby dry toilets, water management and waste management. The Mayan youth can paint traditional Mayan Art at the entrance. The elders will share the work of the Tatas and the Nanas through their ancestral wisdom related to the continuum of their culture and the count of time as well as the use of medicinal herbs. There are 4 altars, some in the mountains and some in the village. With each altar there is an environmental lesson and a collective effort for the Cunen community. The trainers will be utilizing the latest best practices of permaculture as well as, the time proven practices of ancient construction. 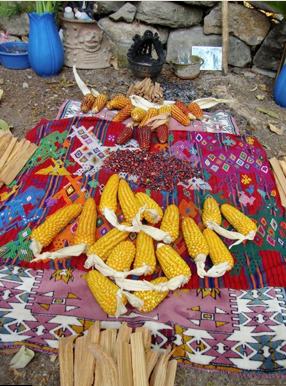 The objective of this program is essentially to rescue and preserve the heirloom seeds of the corn and beans (ancient sustenance) while promoting the consumption of other wild seeds such as a variety of tomatoes. Strong emphasis will be placed on promoting awareness of autonomous food production and the NO Dependence on GMO seeds. We seek to find out more about new agricultural practices to eliminate plagues and the misuse of water. Rescue the practices of the ancestral healers (aj kun). 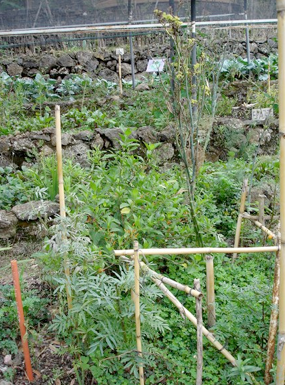 Process the endemic medicinal plants according to customs. Promote their use and application. Start a seed bank for those plants. Exchange knowledge on the subject of medicinal plants. Teach how to plant the herbal First Aid kit. Education and information resources regarding the present environmental condition of the planet and in Guatemala. Create a strategy to reduce the pollution of our rivers and promote community awareness through workshops to be carried out in the mother tongue for adults, youth and children. Reforestation and restoration of our watersheds, rivers and springs. Education on waste management, recycling, reusing and composting. Strategies for reduction and treatment of solid waste in order to reduce pollution. This project is in a devastated river intergenerational and will create an income source for the women as well as continue the woven history of our people. Because of the invasion of clothing and accessories brought from other countries and because of the low prices offered at the markets we find that little by little the original attire has been disappearing. In view of that, as a cultural restoration project we intend to rescue the ancestral outfits of the Kunenteko men and women so they may be worn again. Waist looms to weave the ceremonial hüipiles and everyday day outfits. Standing looms to weave the typical designs and textiles with. 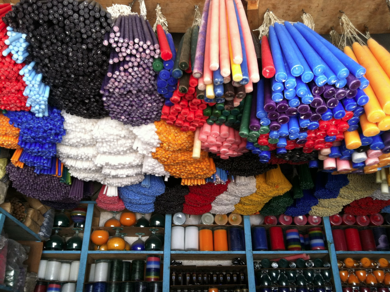 as well as for arts and crafts to export. Make good use of the knowledge of the grandmothers and grandfathers who teach the meanings of every pattern and symbol. We are currently seeking partners in sponsorship to implement this culturally and environmentally empowering project. Through the extraordinary and trusted leadership of Tata Juan Camajá Pinula the inhabitants of Cunen district will be organizing themselves to participate in any way they can to make this project not only a model for the Cunen Community but an example to other Mayan districts in environmental and cultural decline.